Romhacking.net - Review - An oldie, but still fun. 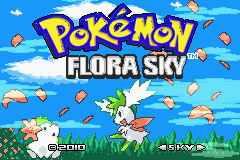 Pokemon Flora Sky is a hack version of Pokemon Emerald Version. 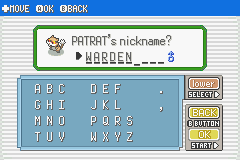 You can also see and catch all Pokemons from Gen IV and V that you just see in Pokemon games in Nintendo DS. Please rememer Pokemon Flora Sky is just a GameBoy Advance Game but you can enjoy more than you think. You’ll come to a land with many mysteries of the legendary Pokemon. After the battle between Dialga and Palkia, the portal between Torn World – the world of Giratina and real world is opened. Giratina appears and brings many unanticipated dangers. And you must close this portal before its too late. 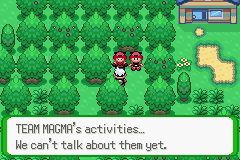 Meanwhile, Team Magma and Aqua are seeking the legendary Fire and Water type Pokemon to dominate their world. Together with other friends, our hero will prevent the heat of the legendary Pokemon by the actions of Team Magma and Aqua. What will help Groudon and Kyogre calm down? For more stories, let’s play..
We are also happy to introduce you new Features of Pokemon Flora Sky, having many differences from the original version, Pokemon Emerald. Main Legendary (In Story): Shaymin, Giratina, Dialga. 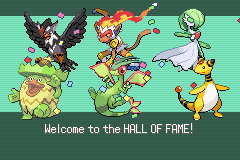 After beat E4: Groudon, Kyogre, Rayquza, Mew, Arceus. 2 Versions: Main and Complement Dex Version. All is the lastest version. An oldie, but still fun. Do not mistake the title of this hack, this is much more of a very heavily redone Emerald with new plot than a new game made from Emerald. 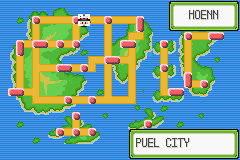 Even the region is still Hoenn. However this isn’t a bad thing, to this day this is still an enjoyable rendition that came to be held among the older greats of Pokemon hacking. It should be known that on hacking terms, this one has aged a little badly: damage split is not in this game for example, making more than a few Pokemon quite useless with their current stats. The sprites also could be better, some cries are still of the Pokemon they replaced, maps are a little wonky here and there, and movesets could be improved greatly with the ability to expand the move tables that we have today. It should also be noted that in the Compliment Dex version (this hack has two versions to accommodate all of the Pokemon mentioned. Think of it as Red and Blue only they can’t trade with each other and changes that matter much more), no Battle Frontier is included for some reason. So if you’re looking for a lot more postgame, play the main version. All this said, give this a spin. You’ll find it quite enjoyable. Everything was edited rather well, and though there are some annoying parts it all comes together well with all concepts realized. Also worthy of note, this is one of the very few big Emerald hacks out there: there are only a couple I personally know of with edited Battle Frontier on top of that.